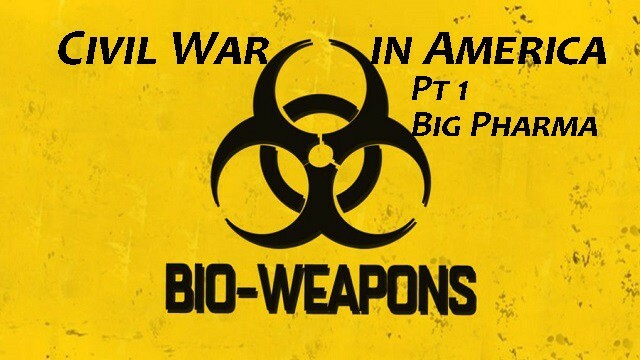 The Raging Civil War in America – PT 1 – The Pharmaceutical Terror Wing | Inside the Eye - Live! There is a civil war raging in America, it is just that nobody seems to see it, or even recognize how such might be so. The civil war is being waged on multiple fronts, but only one side seems to know it exists. 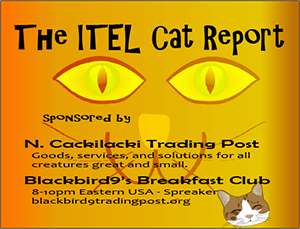 Consequently, all the shots are being fired in one direction while those being targeted remain blissfully unaware that they are at war and that casualties are indeed being taken. There are those who are killed in action, wounded in action, and of course, missing in action. The civil war is relentless, yet nobody is shooting back. Perhaps it is because the people surviving the dying, caring for the maimed, and mourning the missing simply cannot fathom the nature of this raging civil war. In a very real way, paramilitary wings, secret death squads, air forces, and occupation propaganda outlets are all employed in this civil war, yet Americans blissfully seem to not notice. Directly undermining the health of the besieged population is the “pharmaceutical wing” of this secret war. In 2016, some 63,632(Â¹) people died from various drug overdoses. Of this figure, a little over 42K people died from opiods, a manufactured crisis (assault on the American people) that now is taking more lives per year than America lost during the entire Vietnam War. 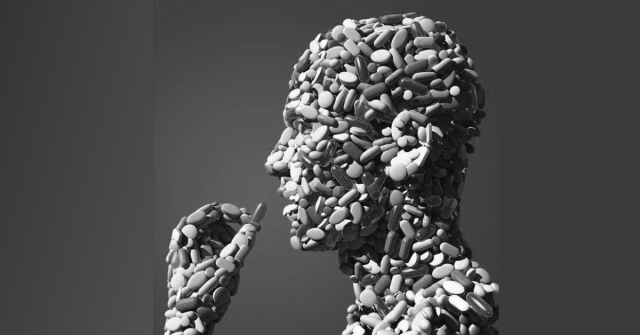 The “opioid crisis” was manufactured.Â It was a direct assault on the American people by one of the richest Jewish families in America, the Sackler family.Â It is easy to get rich when you create an aggressive drug peddling policy, protected by your Jewish run American Medical Association that then goes on to have its members write some 259 million prescriptions for pain killers. This act of war in the name of profits that benefit Jews should not be underestimated and those who created this act should face a firing squad instead of hiding behind a wall of lawyers adjudicating their act of war in courts too often controlled by members of the Jewish tribe. But the opioid crisis is just one phase of the pharmaceutical wings war against the American people. Another phase is that of the “vaccine wing”, a wing that harms and kills at alarming rates and yet is provided with “state sanctioned protection” beyond what a deployed American soldier can expect who is sent off to prosecute wars that all too often benefit Jews and their “capital”. In typical cowardice, vaccines, like many other Jewish run syndicates, rely on privatizing profits while socializing losses and even then, use government institutions to cover up the extent of casualties incurred by unwitting Americans on the firing lines.Â Information regarded adjudicated settlements used to be readily available on the government website, but has since been replaced with a message that says vaccines are perfectly safe and health. Using genetically engineered vaccines that target ethnic populations used to be the realm of science fiction and fantasy, but with the obvious desire by Jewish groups to target and destroy Western civilization, that a vaccine would arrive on the scene that does just that should not come as a surprise. Of course, it gets far worse.Â The pharmaceutical industry is engaged in full spectrum warfare against the American people.Â Â This warfare begins with America’s newly born infants.Â One of the more notorious institutions is, rather fittingly, known as CHOP, or the Children’s Hospital of Pennsylvania. CHOP is headed by Paul Offit, who is inspired by the “hypothetical work” of Melvin Cohn who, in typical Jewish chutzpah, declares what is and is not safe and effective by what he has hypothetically run through his beacon of light brain. According to CHOPS, it is safe for infants to be given up to 1.5 gallons, GALLONS, of vaccines and the process would be perfectly healthy for infant children.Â That such lunacy can be stated openly shows how overt and arrogant is this pharmaceutical war on the American people. 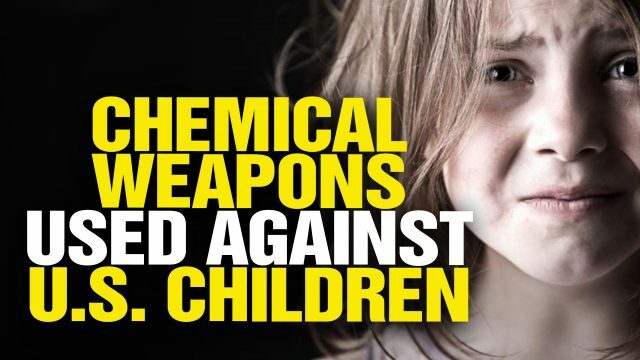 According to a recent survey, the pharmaceutical war against Americans has resulted in some 1:45 (unofficial) children up to age 18 being diagnosed with “autism”, which more accurately be seen as severe reaction from vaccine poisoning. AÂ new government survey of parentsÂ suggests that 1 in 45 children, ages 3 through 17, have been diagnosed with autism spectrum disorder (ASD). This is notably higher than the official government estimate of 1 in 68 American children with autism, by the Centers for Disease Control and Prevention (CDC). 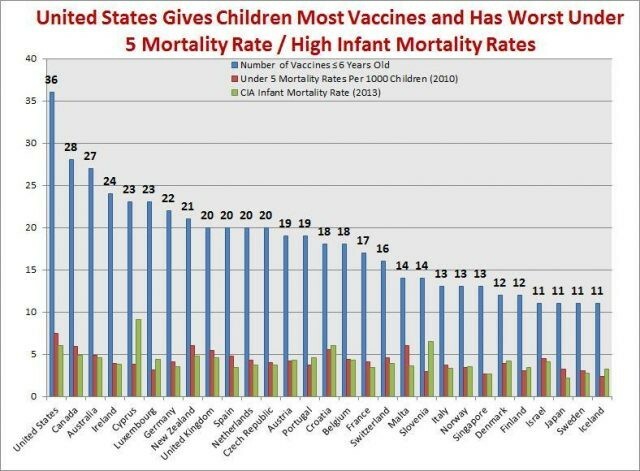 Not only does the United States have the highest number of vaccines given to children anywhere in the world (36+), the United States also has the highest infant mortality rate in the world. A country as advanced and sophisticated as the United States cannot possibly be expected to have the worst infant mortality rate in the world, unless, of course, it is by design. At 7.8 deaths per thousand, the slaughter perhaps can better be described as a genocide. To drive this point home, these welfare queen, death and maiming factories known as “the vaccine industry”, are akin to the American public being led before a firing squad where the those who pull the trigger are blindfolded, led to the firing line, spun in a circle, and then directed to fire at the victim lined up against the wall. Some are hit and killed. A large number are “merely maimed for life” where their family becomes subservient to Jewish capital as they must care for their family. Those that come through unscathed are charged for the cost of the bullets that were fired. No true civil war would be complete without its share of secret death squads, and here, too, we find that in the civil war being waged against Americans, death squads roam free to strike fear against those fighting for the American people. On of those doctors, Dr. Jeff Bradstreet, a prominent researcher on links of vaccines to autism, and who had developed some successful treatments, was just on of dozens and dozens being found dead. Indeed, there is a civil war raging in America. But the American people have yet to return fire on those waging the war.